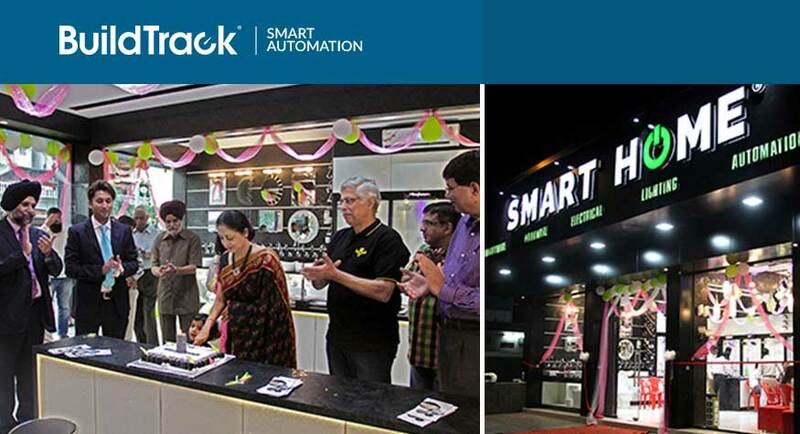 SmartHome® is India’s first Smart Automation retail store that was recently opened in Kopar Khairane, Navi Mumbai with a wide range of products in automation, lighting, hardware, sanitaryware etc. BuildTrack™ Home & Office Automation products are exclusively carried out at the SmartHome® store. SmartHome® was inaugurated on 7th December 2014 with a large turnout of people visiting the store. Customers can interact and experience BuildTrack’s range of automation products at SmartHome®. It allows them to discover what would work best for their Safety, Security, Conservation or Lifestyle needs at their homes or offices. They can choose from a wide variety of automation solutions such as Smartphone based lighting control and Curtain control; Security sensors like Smoke, Gas & Door Intrusion sensors; Motion sensors for energy efficiency; CCTV cameras for safety and surveillance. The automation solutions can be used individually or collectively as required based on the requirements of the customer.